Welcome to Fletcher Hotel-Restaurant Loosdrecht-Amsterdam. 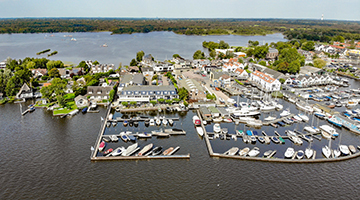 Due to the great location of the modern hotel at the shore of the Loosdrechtse Plassen it is the perfect spot for a weekend getaway. The hotel is surrounded by beautiful nature where you can spend hours of walking and cycling. The hotel is situated right at the Loosdrechtse Plassen, which makes it perfect for some exciting activities. The hotel has several facilities to make your stay as comfortable and adventures as you prefer. Water sports fanatics can make use of the private marina and enjoy a wonderful day at the glistening lakes. After an active day you can savour a delicious dinner in our luxurious restaurant Marina Lounge. Marina Lounge is a wonderful concept, whereby you can enjoy fresh fish, crustaceans and shellfish, but also mouth-watering meat dishes and tasteful vegetarian delights. 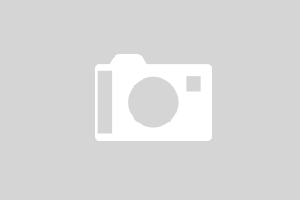 Fletcher Hotel-Restaurant Loosdrecht-Amsterdam is also very suitable for business purposes. The hotel has twelve multifunctional meeting rooms and can be combined with business lunches or dinners. 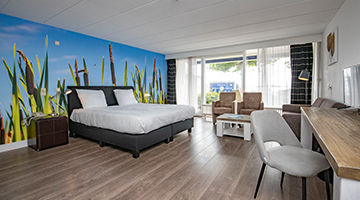 The versatile surroundings of the hotel in Loosdrecht are ideal for young and old. In the nearby surroundings you find a variety of castles, such as Kasteel-Museum Sypesteyn. Would you rather spend your day in comfort? 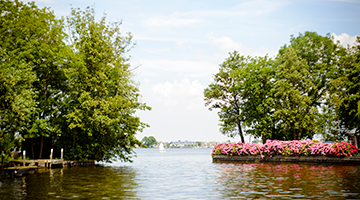 Visit spaSereen in Maarssen for a day of relaxation. 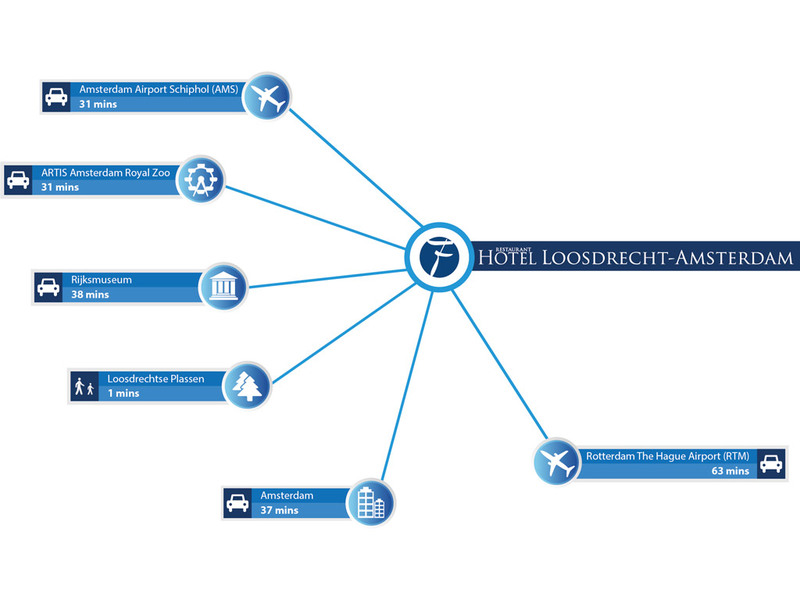 Furthermore, the vibrant city of Amsterdam is at a short distance for some city excitement. Would you like to know more before you arrive at our hotel? View the photos and videos of our hotel here. The ultimate hotel for water (sports) enthusiasts! You can enjoy a snack or drink on the terrace with a view across the Loosdrechtse Plassen. A stay in this hotel will leave you feeling perfectly relaxed. The Loosdrechtse Plassen are great for active water sports, for instance RIB sailing, water-skiing or boat hire. There is a walking trail along the Kromme Rade that takes you around the lakes, or you can explore the area by bicycle.